THANK YOU FOR JOINING US AS WE LEARN HOW TO BE THE HANDS AND FEET OF JESUS! 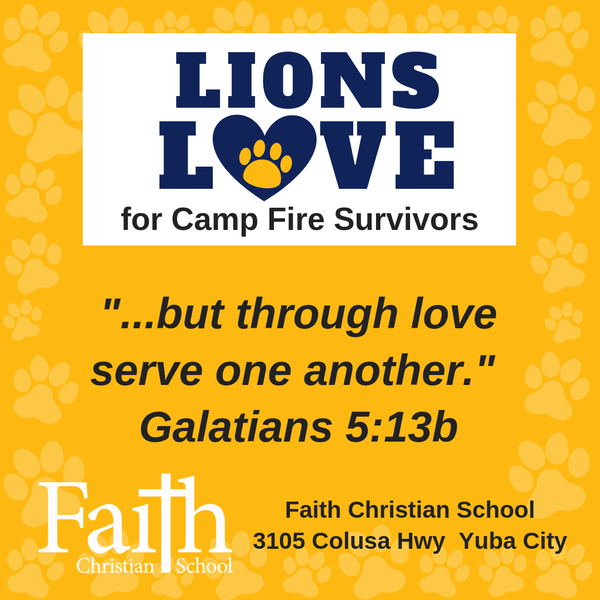 Thank you to all helped in the Open Gym that was held at FCHS for the survivors of the Camp Fire. A special thank you to Nancy, Nick and Hannah Maddalena, Don and Lesa Shipplehoute, Levi Patterson and the FCHS basketball teams!